The Killeen Police Department would like take this time to thank all the individuals who were looking for Jamal Powell who was reportedly kidnapped from 4807 Golden Gate Drive in Killeen, Texas, on February 11, 2017. Through the investigation it was determined that the report of Jamal Powell being kidnapped was false. The reporting parties fabricated the identity of Jamal Powell in an attempt to get a faster response from local law enforcement; there was never a child. The report of a gun being involved in this case is also fictitious. 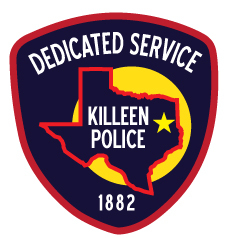 Currently the Killeen Police Department is seeking to obtain arrest warrants for the six initial subjects who provided false information; other warrants may be issued. Many agencies contributed numerous man hours in an attempt to locate the fictitious child. The Killeen Police Department would like to thank the following agencies and organizations that contributed to this investigation; U.S. Marshals Service, Marion County District Attorney’s Office, Marion County Sheriff’s Office, Marion County Records Department, Indiana Department of Child Services, Dallas Police Department, Lewisville Police Department, Bell County District Attorney’s Office, Bell County Probation Office, Bell County C.S.C.D., and Channel 6 News. This list is not all inclusive due to the fact that other agencies assisted the agencies within this list. The two reported suspects, Lanae Hoskins and James Harris, have been cleared of all charges. Killeen Police investigating a possible kidnapping of male toddler. Officers were notified of a missing 3 year old male toddler who was taken by a female and a male at 11:59pm, on Saturday, February 11, 2017. Upon the officer’s arrival, they were told that a black female, Lanae Hoskins and a black male, James Harris, were at the residence, 4807 Golden Gate Drive, when they stole an undisclosed amount of money and a vehicle at gun point, fleeing from the residence with the child, Jamal Powell. The name of the victim has been identified as 58 year old William Petty. William succumbed to his injuries on February 26, 2017 and was pronounced deceased at 5:20am by medical personnel. Detectives with the Criminal Investigations Division Homicide Unit are following active leads on this case and information will be provided as it becomes available. Killeen Police investigate an early morning Homicide. Killeen Police responded to the Subway Restaurant located at 1100 Old FM 440 on Sunday, February 26, 2017, at 3:42am, after receiving a 911 call about a robbery. Upon the officers’ arrival, they located a male victim with a gunshot wound; he was immediately transported to the Baylor Scott & White Hospital in critical condition. Detectives with the Criminal Investigation Division Homicide Unit are asking anyone who has information about this homicide to contact Crime Stoppers at 254-526-TIPS (8477) or go online anonymously at www.bellcountycrimestoppers.com. You can also download the app P3 tips for IOS and Android phones. All information is anonymous and confidential and if your tip leads to the arrest of the person or persons responsible for this crime, you could be eligible for a reward up to $1,000 in cash. The preliminary investigation revealed that the suspect entered the restaurant wearing a ski mask. The security guard on duty approached the suspect and words were exchanged. During the verbal altercation, the security guard was fatality wounded. The suspect is described as a stocky black male, approximately 5’6” tall, wearing a dark gray sweatshirt, black shorts with red and white trim and white tennis shoes. There were a few citizens and employees in the restaurant and no other injuries were reported. Killeen Police is conducting a Death Investigation on Lavender Lane. Officers responded to the 2400 block of Lavender Lane on Tuesday, February 21, 2017, at 6:39pm, after receiving a 911 call about an unresponsive female and infant. Officers and paramedics arrived and located an adult female and baby lying on the floor inside the residence. The preliminary investigation revealed that the resident came home and found the two females not breathing. Justice of the Peace Bill Cooke arrived and pronounced 36 year old Holley Shavahn Newkirk deceased at 7:18pm and her baby, Teegan Newkirk at 7:19pm; he ordered an autopsy to be performed at the Southwestern Institute of Forensic Sciences in Dallas. The cause of the deaths is undetermined at this time; detectives see no signs of foul play pending the final autopsy results to make that determination. The shooting victim from the Homicide at the Bridgewater Apartments has been identified as 23 year old Quentin Rashard Hill. Killeen Police Investigate early morning shooting at the Bridgewater Apartments. Officers were responding to numerous calls in reference to shots fired at 600 W. Hallmark Ave. on Monday, February 21, 2017, at 12:04am. While officers’ were in route, the call was upgraded to a shooting. Officers’ arrived to find a black male with a gunshot wound; he was immediately airlifted to the Baylor Scott & White Hospital in Temple. The victim succumbed to his injuries and was pronounced deceased by Justice of the Peace Donald Engleking at 2:35am. The victim’s name has been withheld pending the notification of his next of kin. Detectives with the Criminal Investigations Division, Homicide Unit are asking anyone who has information about this Homicide to contact Crime Stoppers at 526-TIPS (8477) or go online anonymously at www.bellcountycrimestoppers.com. You can also download the app P3 tips on IOS and Android phones. All information is anonymous and confidential and if your tip leads to the arrest of the person responsible for this crime you could be eligible for a reward up to $1,000 in cash. UPDATE KPD Conducts Death Investigation on Minthorn Dr. The deceased has been identified as Darin Edward Winder of Killeen. Killeen Police conduct a death investigation on Minthorn Dr.
Officers responded to the 3100 block of Minthorn Dr. at 6:11 PM this evening, in reference a male who was trapped under a boat and trailer. Upon their arrival, officers located the 53 years old Killeen man unresponsive in the driveway. CPR was performed by emergency responders, however they were unable to revive him and he succumbed to his injuries. Justice of Peace Claudia Brown pronounced the man deceased at 7:11 PM and no autopsy was ordered. KPD Conducts Death Investigation on Minthorn Dr. The name of the male will be withheld at this time. This case continues to be investigated and information will be released as it becomes available. Killeen Police investigate Aggravated Robbery at Star Mart. Officers responded to the Star Mart Convenience Store located at 104 W. Elms at 7:43pm, on Tuesday, February 14, 2017, after receiving a 911 call advising the store had just been robbed. Upon the officers’ arrival they were told an armed black male, approximately 5’10” tall, 160 lbs, wearing a black beanie with yellow trim, with curly pink/purple hair, possibly a wig, wearing a Dallas Cowboys hooded sweatshirt and blue jeans, entered the store and demanded money. The suspect fled westbound on foot with an undisclosed amount of money. The officers searched the area but were unable to locate the suspect. Detectives with the Criminal Investigations Division Violent Crimes Section are asking anyone who has information about this robbery, to contact Crime Stoppers at 526-TIPS (8477) or go online anonymously at www.bellcountycrimestoppers.com. You can also download the app P3 tips on IOS and Android phones. All information is anonymous and confidential and if your tip leads to the arrest of the person responsible for this crime you could be eligible for a reward up to $1,000 in cash. Killeen Police are asking for the community’s assistance identifying a person of interest in several Aggravated Robberies. On Monday, January 9, 2017, at about 4:15am, Officers responded to an aggravated robbery at the Valero Convenience Store located at 1000 W. Stan Schlueter Loop. Upon arrival, Officers met with the store clerk who reported that a black male entered the store, displayed a handgun and demanded money. The suspect fled on foot in an unknown direction with an undisclosed amount of money. Convenience Store located at 1310 W. Stan Schlueter Loop in reference to an aggravated robbery that had just occurred. Upon the Officers arrival, they met with the store clerk who reported that a black male entered the store, displayed a handgun and demanded money. The suspect fled on foot eastbound with an undisclosed amount of money. Killeen Police believe the two robberies are related. The male is described as a light skinned black male, wearing a red hooded top, a black overcoat, black leather gloves, heather gray sweat pants, and all white shoes. Detectives with the Criminal Investigations Division Violent Crimes Section are asking anyone who has information about these robberies or who can identify this suspect, to contact Crime Stoppers at 526-TIPS (8477) or go online anonymously at www.bellcountycrimestoppers.com. You can also download the app P3 tips on IOS and Android phones. All information is anonymous and confidential and if your tip leads to the arrest of the person responsible for this crime you could be eligible for a reward up to $1,000 in cash.